Bet you couldn't have seen this coming. It shouldn't come as a surprise by now that the Angry Birds crew are going to pop up wherever there's a trail of money, especially when there are so many genres the characters have yet to explore. 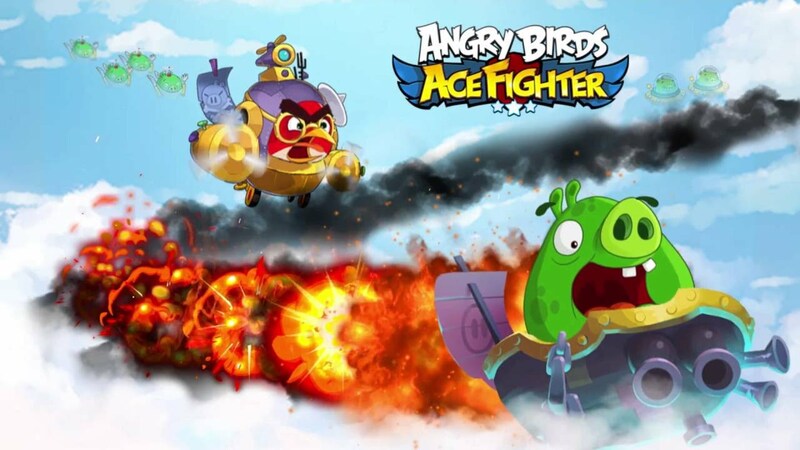 So don't have that jaw drop when you look at Angry Birds: Ace Fighter. It's a lot different from what you're used to, but it also has a lot of potential. Perhaps what's most surprising is the fact that it's not a direct release from Rovio. What's that all about? Siamgame Mobile, a developer out of Thailand, seems to have taken over development on this top-down shmup, which finds you piloting special aircrafts and shooting down enemies a la Ikaruga or shooters of that ilk. It's only available on the Singapore App Store currently, so you'll have to switch your account over if you make a separate one, but it looks like it's absolutely worth trying out. Expect some impressions here in the coming weeks.